– Combine frozen raspberries, juice of 1/2 lemon and honey in a small sauce pan and heat over low. Mash berries with a fork and stir until broken down to a consistency you’re happy with! Taste, add additional honey if you’d prefer it more sweet and less tart. 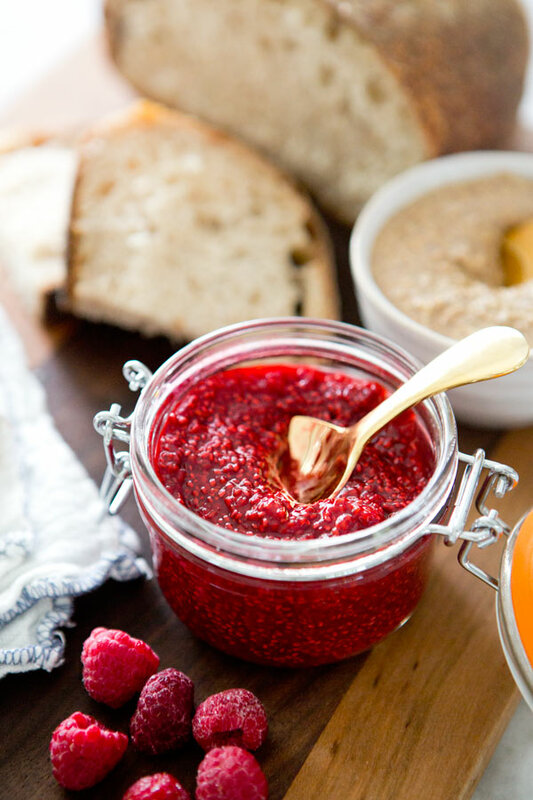 – Add chia seeds and mix well. 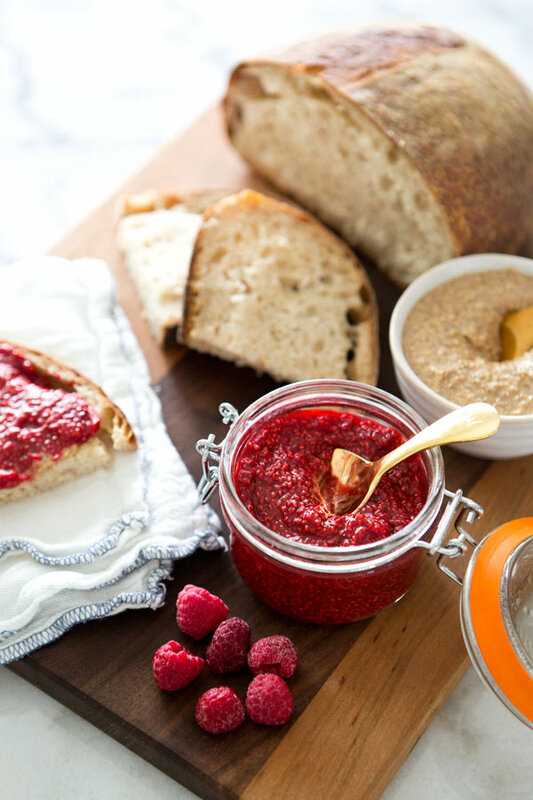 – Pour jam into 125 ml jar and refrigerate for 1 hour to set. wow this is it – looks far more complicated. How long does it last – there again if its that good, maybe it will be gone in a week. Perfect for weekend brunch. More Bean and Nugget! Miss seeing those gals! How long does the jam last once it's made? Does it need to be eaten the same day? I'm just thinking it would be great for a gift! So if I'm understanding this correctly, one could use any frozen fruit? I'm thinking blueberries or strawberries… this seems to easy! @leila- it doesn't need to be eaten the same day, but it will eventually go bad. Not sure how long that would take as it's such a small batch that it gets gobbled up before that happens around here! It would also very depending on the fruit, whether it's organic or not,etc. @katrina- yes! strawberries would be so good! so creative! beautiful. thank you! Your pictures are beautiful and I am definitely going to try this. I do not have any frozen raspberries, but I am going to try it with the strawberries. Thanks for sharing! Lovely idea. Can't wait to try it. 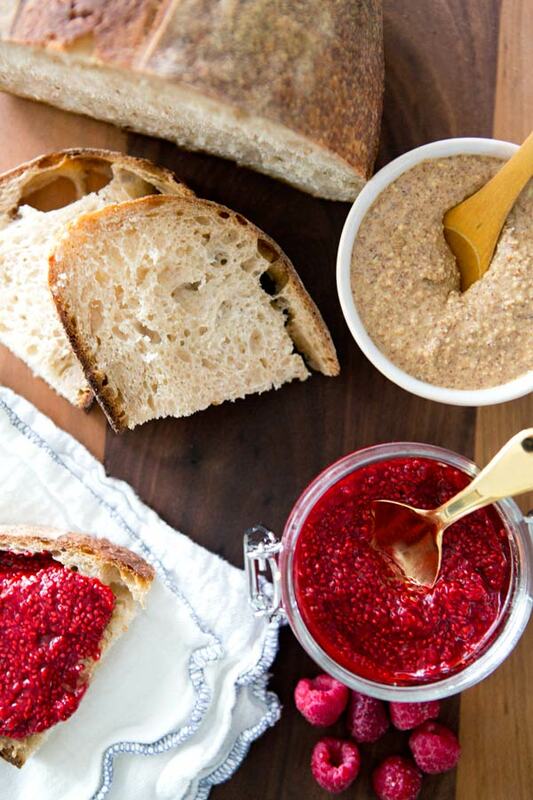 Makes such great sense to use chia and raspberries- there are already seeds, so why not add more healthy ones? Thank you darling girl for sharing. Holy smokes, this IS simple! I just need to find some chia seeds that are white…. Thank you! This looks delicious! Any reason other than aesthetics that you couldn't use black chia seeds? (They are so easy to get at Trader Joe's). Thanks! Thank you thank you thank you for this! I have been looking for a healthy alternative on jam for so long, finally found it. I made the jam today with frozen mixed red fruit and black chia seeds. It turned out delicious! What a beautiful blog you have here! I love your photography. 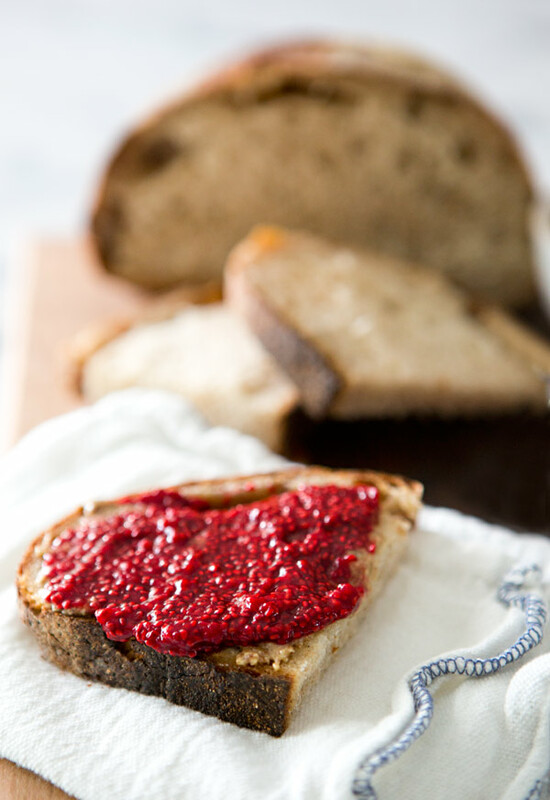 We make this jam all of the time now and it’s a family favorite. Thanks for sharing. Is it necessary to heat the mixture or can you just mix and refrigerate? 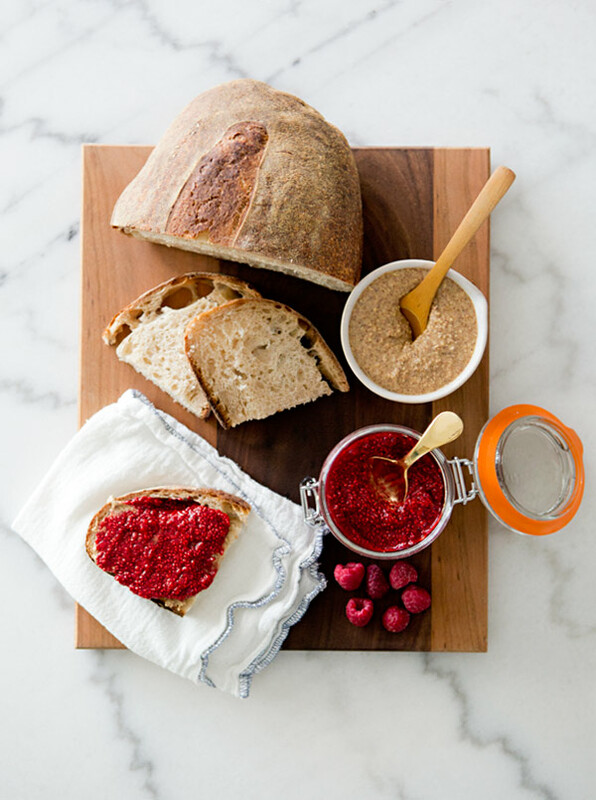 I love making this jam but have never cooked it. How long would this jam stay good for in the. fridge? Can you make it with other fruits too? I had bookmarked this page for a while to make, and I finally got around to making my own version using your recipe as an inspiration, so I shared your link on my blog page to see who inspired me:). Your photos are beautiful!